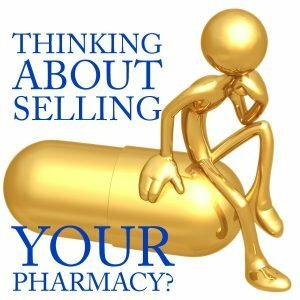 STOP DREAMING ABOUT SELLING YOUR PHARMACY! PRS CAN HELP YOU EVERY STEP OF THE WAY! I was so frustrated trying to figure out the process of selling my store to a couple of young guys that I was ready to just close the store. Luckily, someone told us about PRS. After one sit down meeting with PRS, both the buyers and myself felt 100% confident we could complete the deal. PRS guided us every step of the way and I can truly say that without them there would not have been a sale. Preparing your Pharmacy to sell for Fair Market Value takes expert planning. PRS can help you create that plan by first determining the current value of your Pharmacy and then giving you expert guidance to implement the right changes necessary to increase the value and desirability of your Pharmacy. We can get you Fair Market Value so you can enjoy your retirement. WE HAVE QUALIFIED BUYERS READY TO PURCHASE IN ALL 50 STATES and D.C.
WHAT ARE YOU WAITING FOR? THERE HAS NEVER BEEN A BETTER TIME TO SELL YOUR PHARMACY. The Seller Prep Plan will look at a Pharmacy’s current operations and analyze how to make improvements that provide maximum value to the owner. The Seller/Buyer Offering Plan will match the interest of potential buyers to sellers using a custom, focused marketing plan and our extensive data base of qualified buyers. Finally, upon the sale of a Pharmacy, PRS provides the expertise and support to plan and execute all aspects of the transfer of Pharmacy ownership using the Closing and Transfer Plan. The Seller Prep Plan – We take the time to learn everything possible about your Pharmacy and location. We completely evaluate your current operation, analyze your business and give you a comprehensive plan to maximize the selling price. A few operational changes can really make a difference in the value of your Pharmacy! Once your Pharmacy is ready to sell for Fair Market Value, we move on to the next step. The Seller/Buyer Offering Plan – So you might think that this is just a brokerage service, but it is so much more! We prepare a “Seller Marketing Plan” with customized marketing pieces that profile the highlights of your Pharmacy. We focus on community location, quality of life and basic financial data. The marketing pieces are designed to entice potential buyers to inquire about your Pharmacy. A more detailed marketing and financial package is prepared for those buyers who have been pre-qualified and have a signed Confidentiality/Non Disclosure Agreement with us. READY TO RELAX AND ENJOY LIFE? We market your Pharmacy business to pre-qualified buyers, answer questions, and negotiate on your behalf. We present all offers to you so you can review them. You will be completely satisfied with an offer before we move forward. We also ensure experienced professionals are engaged throughout the closing and transfer process. Your privacy and confidentiality is our #1 priority. The Closing and Transfer Plan – Perhaps you have a buyer already and just need assistance on the Pharmacy ownership transfer? Or after we sell your Pharmacy, you want to retain us to handle the transfer process? PRS advises Pharmacy sellers and their representatives how to transition smoothly to the new owner. We are more than just your typical “Pharmacy Brokers.” We are Pharmacists and Independent Pharmacy experts. PRS is the exclusive broker endorsed by NCPA. CONFIDENTIALITY IS RULE ONE AT PRS. We NEVER share your desire to sell with anyone without your permission. And, yes, that includes your wholesaler and buying group.